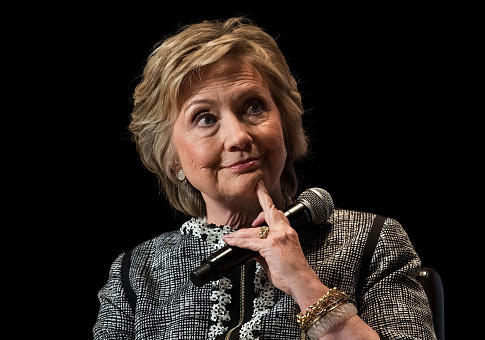 ESPN employees gave former Democratic presidential candidate Hillary Clinton 270 times more in donations than her Republican opponent, President Donald Trump, during the 2016 election cycle. People who identified ESPN as their employer overwhelmingly donated to Democratic candidates, campaign committees, and political action committees throughout the 2016 campaign, the conservative NTK Network reported Wednesday. According to the Center for Responsive Politics, people who identified ESPN as their employer made 408 donations during the 2016 election totaling $116,285. The biggest individual benefactor of donations was Hillary Clinton who received 217 donations during the 2016 campaign totaling $27,580. By contrast, President Trump revived just two donations from ESPN employees, who donated a total of just $102. Other Democrats who received donations include Sen. Bernie Sanders (I., Vt.), with just over $1,000. Senators Richard Blumenthal (D., Conn.), Amy Klobuchar (D., Minn.), Kamala Harris (D., Calif.), and Chris Van Hollen (D., Md.) also received contributions. Some ESPN employees also donated to the Republican presidential campaigns of Sen. Ted Cruz (R., Texas), Sen. Marco Rubio (R., Fla.), and Dr. Ben Carson, who currently serves as Trump's secretary of housing and urban development. There are no records of self-identified ESPN employees donating to Republican-leaning PACs or Republican campaign committees, but several ESPN employees donated to Democratic-aligned PACs like Moveon.org and End Citizens United. According to the Center for Responsive Politics, ESPN employees donated a majority of their money to Walt Disney Productions Employees PAC, which received 41 donations totaling $30,855. While the PAC's donations to federal candidates were almost evenly split between Republican and Democratic candidates during the 2016 election cycle, Clinton was the second highest recipient. The National Cable & Telecommunications Association (NCTA) received donations from nine ESPN employees totaling $13,750 during the 2016 cycle. The association "represents the nation's cable TV industry and is among the most influential organizations in the technology and communications industries," according to the Center for Responsive Politics. ESPN employees donated 87 percent of the time to Democrats during the 2016 election cycle if the Disney PAC and NCTA donations are factored out, according to NTK. Trump slammed ESPN's ratings earlier this week on Twitter, saying they "tanked" with anchor Jemele Hill at the mic. She was suspended on Monday for two weeks after her second social media violation. Trump also slammed what he described as ESPN's liberal bias last month, writing that the network is "paying a really big price for its politics (and bad programming)." This entry was posted in Politics and tagged 2016 Election, Donald Trump, ESPN, Hillary Clinton. Bookmark the permalink.